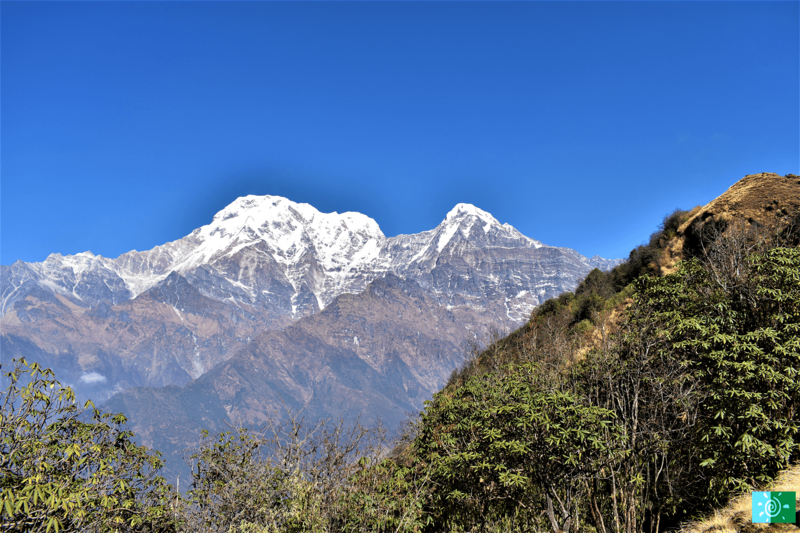 Annapurna sanctuary can be witnessed and the panorama view is beyond imaginations, witnessing south of Annapurna and all of the peaks in the sanctuary including Hiunchuli and Machhapuchhre from Upper View Point. 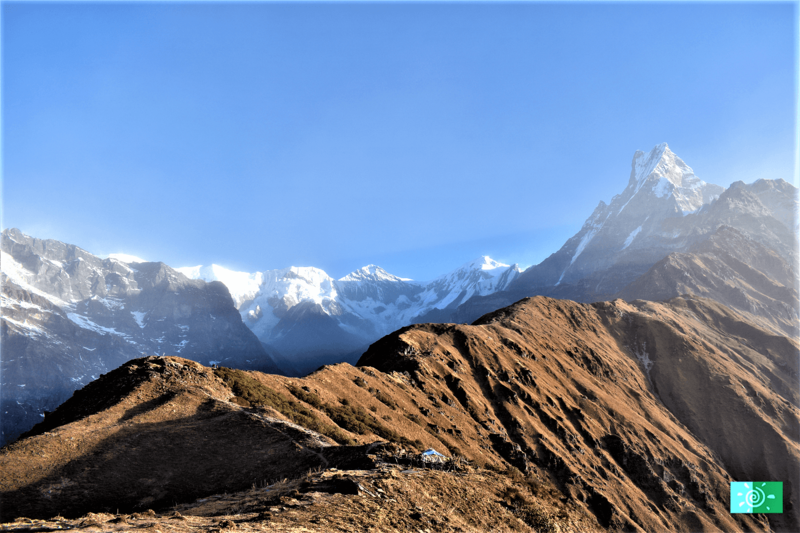 The Mardi Himal Trek is an ideal choice for trekkers who are looking for isolated routes in Annapurna Region, it is the lowest and perhaps the least visited of the trekking peaks in Nepal. 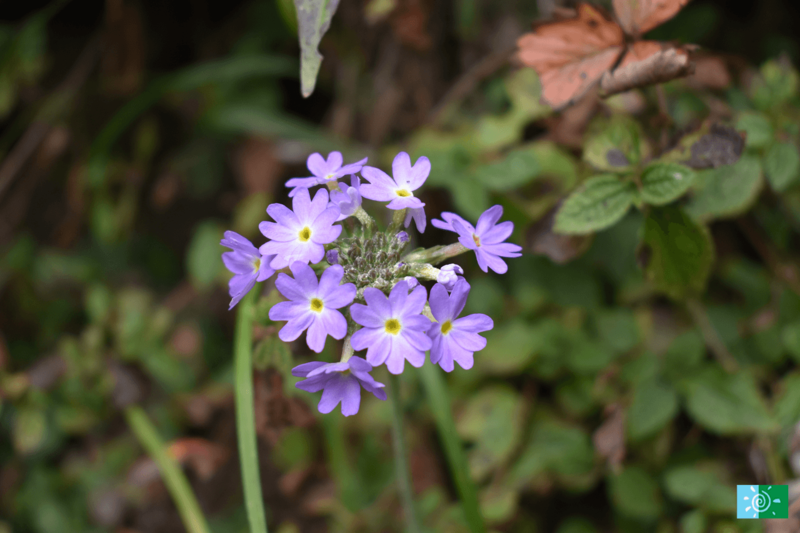 The trail goes along small winding paths, through magical rhododendron forests until you climb out of the forest. 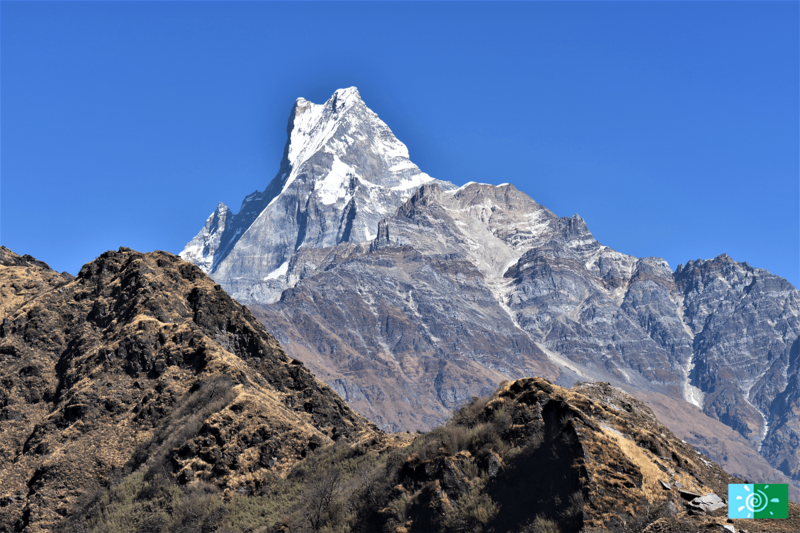 The landscape changes quite abruptly into a rugged high mountain landscape, with amazing views of Mardi Himal, Machhapuchhre, Annapurna South and Hiunchuli. 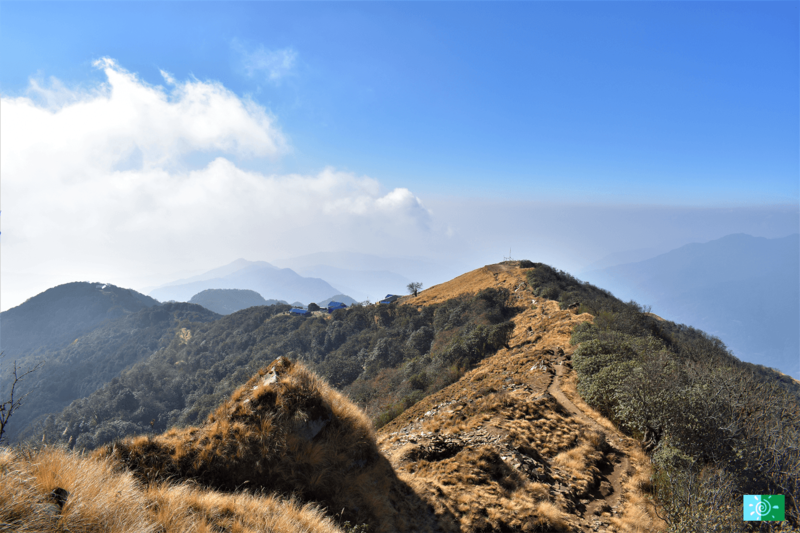 This trekking route is that the trail makes a small circuit up to the base camp of Mardi Himal so that we don’t have to backtrack over the same terrain. 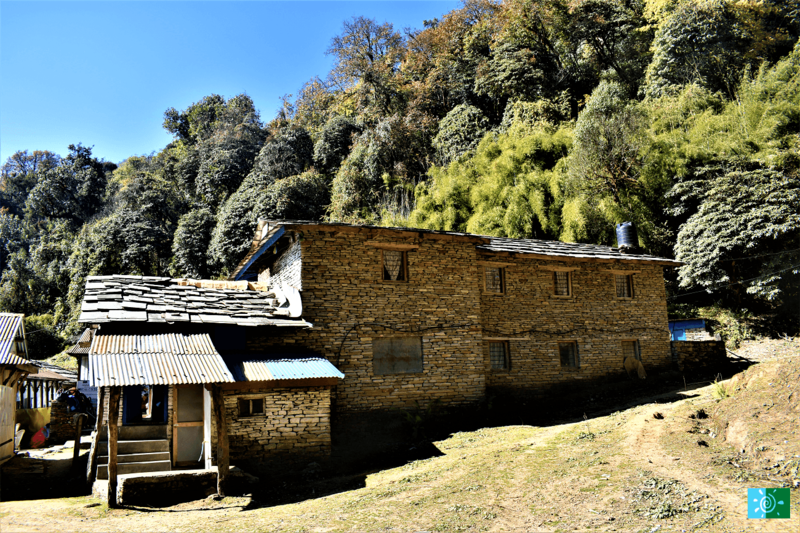 In conclusion, numerous of new basic lodges and home stays have been built along Mardi Himal ridge therefore, it is now possible to do this as a lodge based trek rather than having to bring in a camping crew. 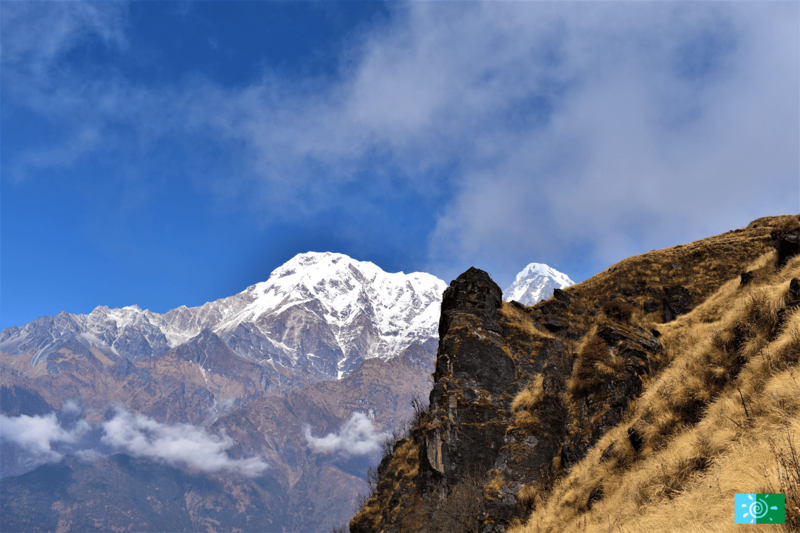 Note: below trekking hours, altitudes and distances are approximate, and absolutely for general idea only. 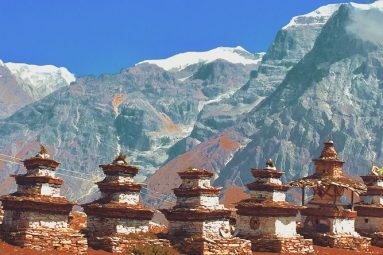 We will start off visiting Kathmandu Durbar Square, the traditional heart of Kathmandu and an architecturally extraordinary complex of ancient palaces, temples, courtyards and shrines. You are then taken to Swayambhunath (monkey temple) which is the magnificent ancient religious architecture and center faith of Hinduism and Buddhism. Its lofty white dome and dazzling golden spire are visible from far and wide. Next, Buddhist shrine of Boudhanath, one of the largest stupa in the world as well as the sacred Buddhist sites in Kathmandu. Further, we visit Pashupatinath temple, a Hindu shrine dedicated to Lord Shiva located on the bank of Bagmati River. You can see elaborately dressed holy men meditating outside the temple and pilgrims placing offerings at the shrines. 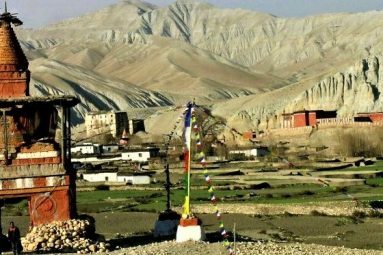 You can also observe people performing religious ritual and funeral pyres burn at open-air cremation. After visiting fascinating cultural heritage sites, you will transfer back to Hotel. The evening can either be spent strolling the marketplaces in Kathmandu or resting at the hotel. 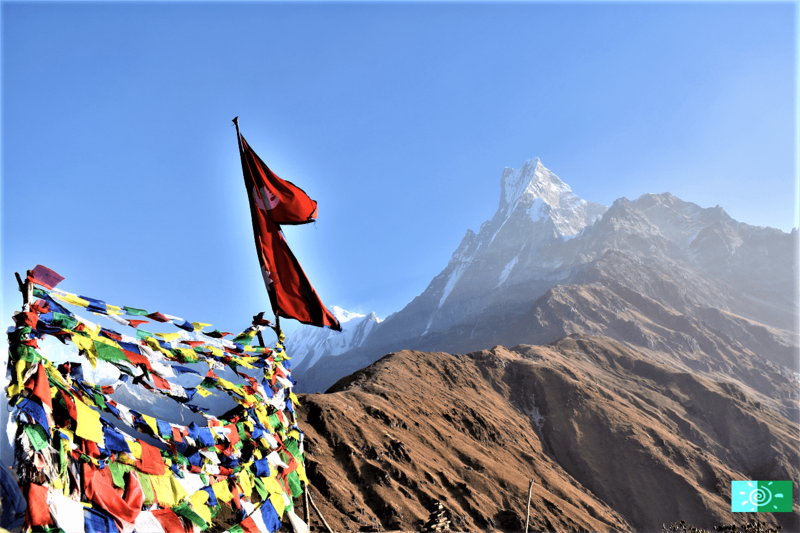 You will be transferred to the airport and will take our flight to Pokhara, from Pokhara we will drive to Phedi from where our trek will start. 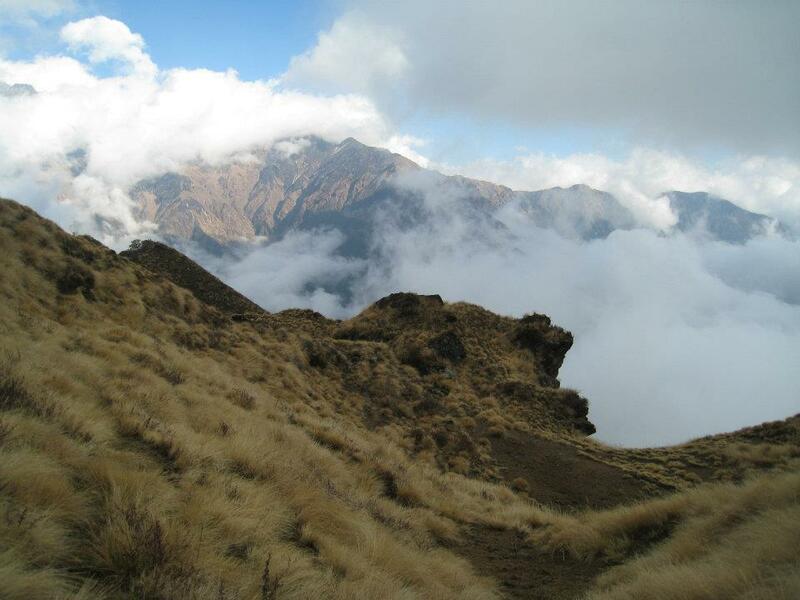 We will meet our accompanying trekking crew there and after a short briefing about the trek we will leave for Pothana. 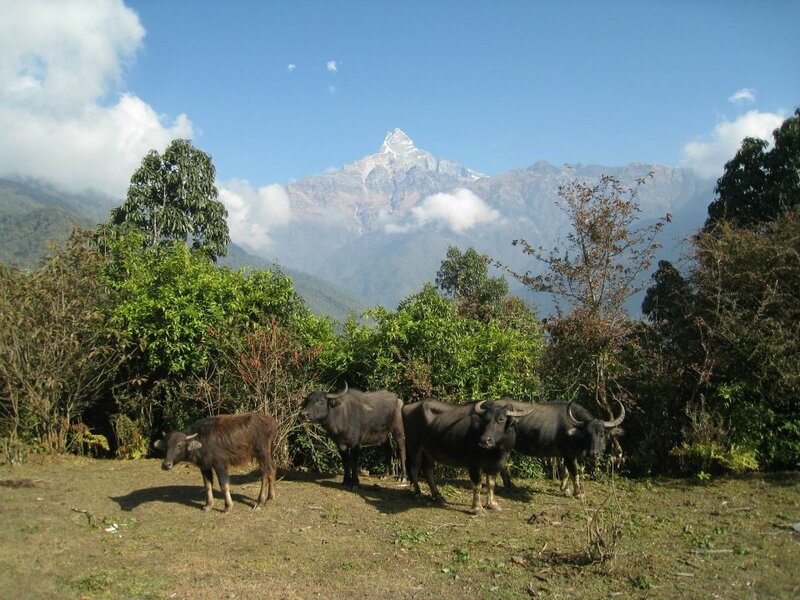 We start our trek climbing uphill to Dhampus for 1 ½ hour. 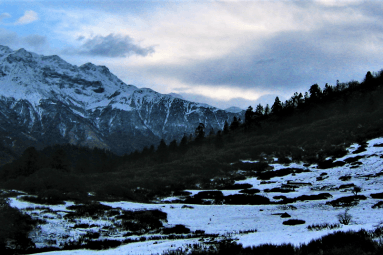 Further trek for 1 ½ hours to 2 hours will take you to Pothana. Stay overnight in Pothana. 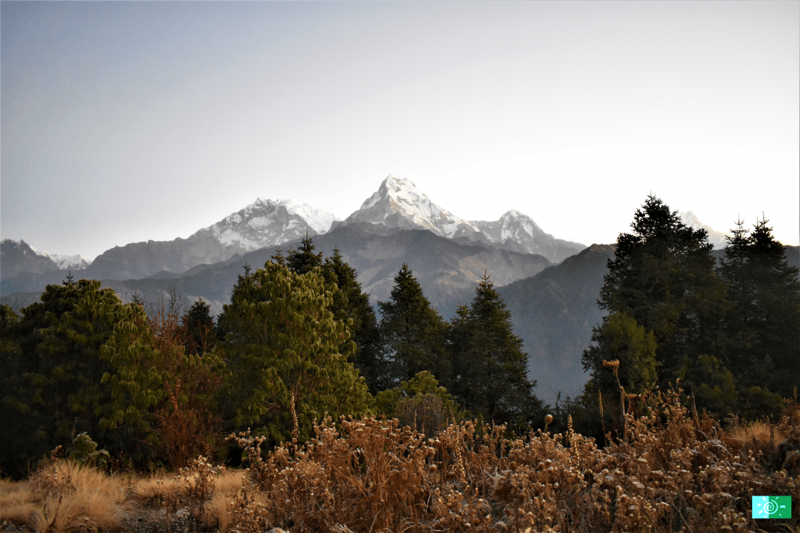 With an early start, we leave Pothana and trek to a village named Pitan Deurali and from there continue along a silent trail through a dense forest of oak, maple, hemlock and rhododendron. Ascending uphill we will reach our lodge in a Forest Camp or ‘Kokar’ as the locals name it. The lodges are basic lodges, you will not have dining room or lobbies so you have to have your meal with the owners and due to this you will be able to know more about the local people and their culture. With an early breakfast at the lodge we leave Forest camp and trek towards Low camp, the trail continues through forest. However, as we go higher the vegetations starts to change with more rhododendron and the trees are covered with moss, lichen and tree fens. 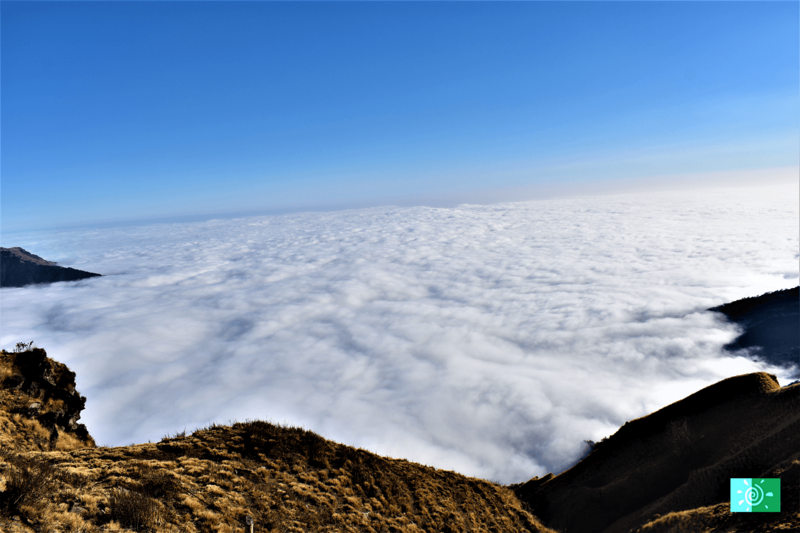 As we reach Low camp we will go to our lodges which will be basic ones too, the view from here will be different and amazing as Mt. 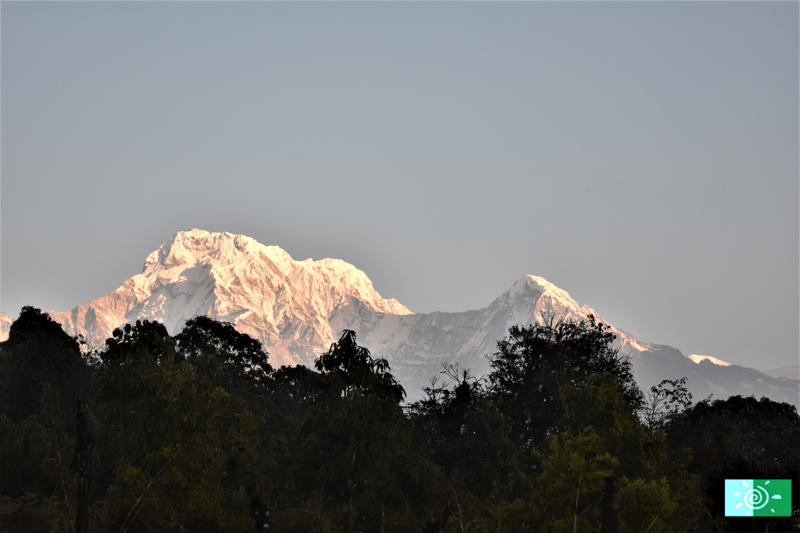 Machapuchare is visible up the valley. 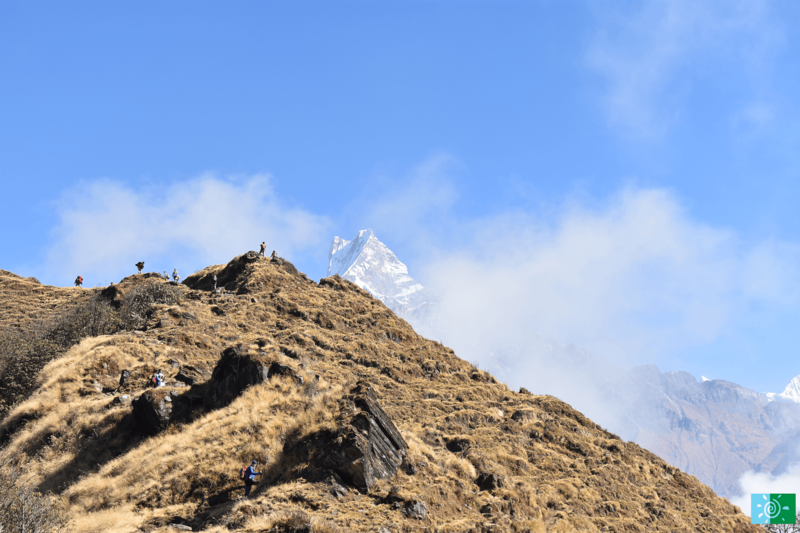 After breakfast, we trek to high camp ascending all the way to high camp.We leave Low camp and continue our trek, the trail continues along the Mardi Himal Ridge on grass with some isolated rhododendron bushes. 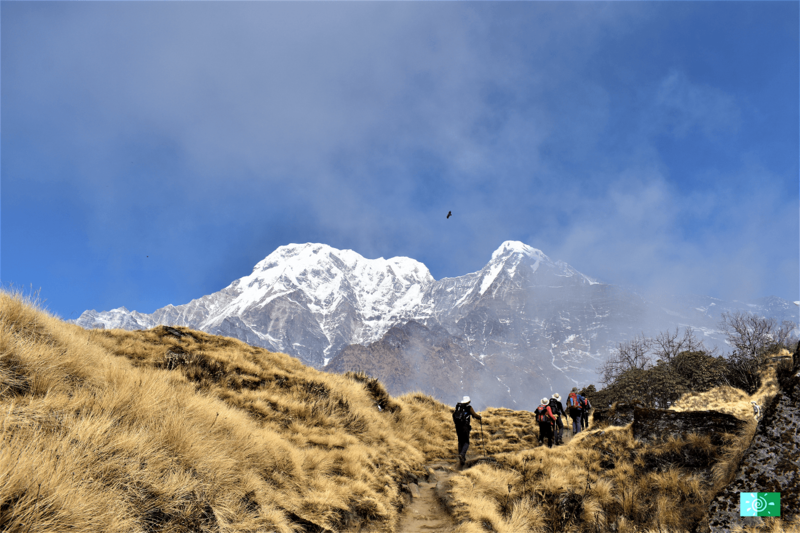 Through the trail you can see clear views of Annapurna south and Hiunchuli or if you’re lucky enough then spotting colorful Danphe Pheasant won’t be a problem. 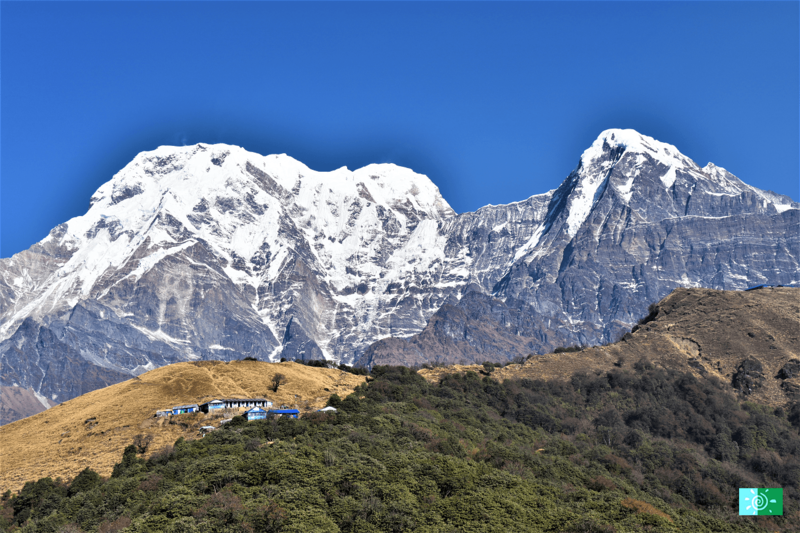 We will soon arrive at the High Camp and the lodge here is larger than the previous lodges, as they have dining rooms and heaters too. 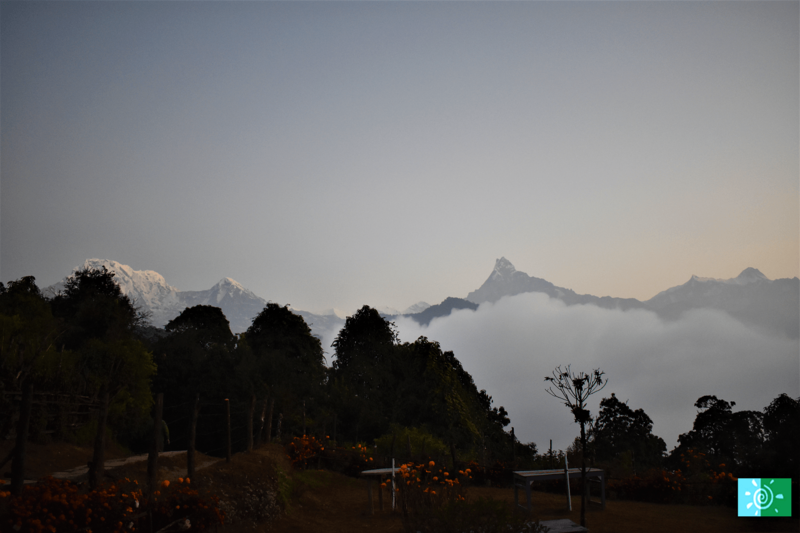 From the lodge we can see Annapurna south, Hiunchuli and the beautiful Machapuchare. We will spend the night here. 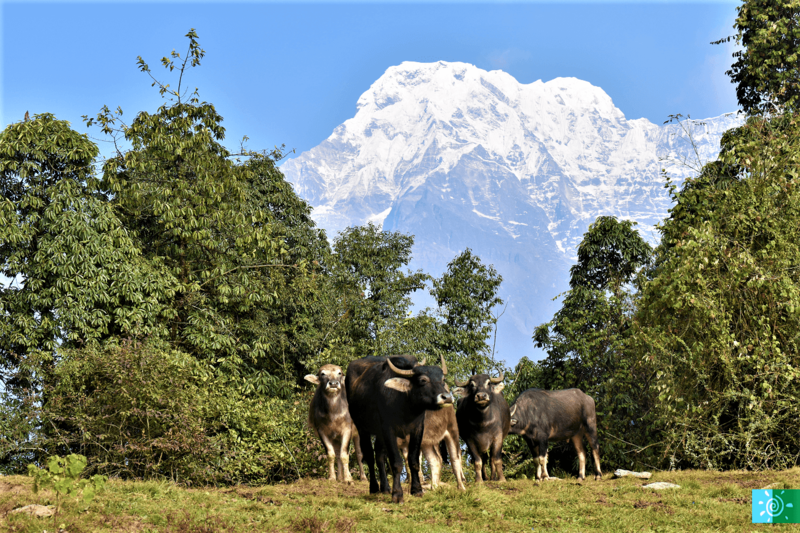 · You can see the magnificent view of Dhaulagiri. 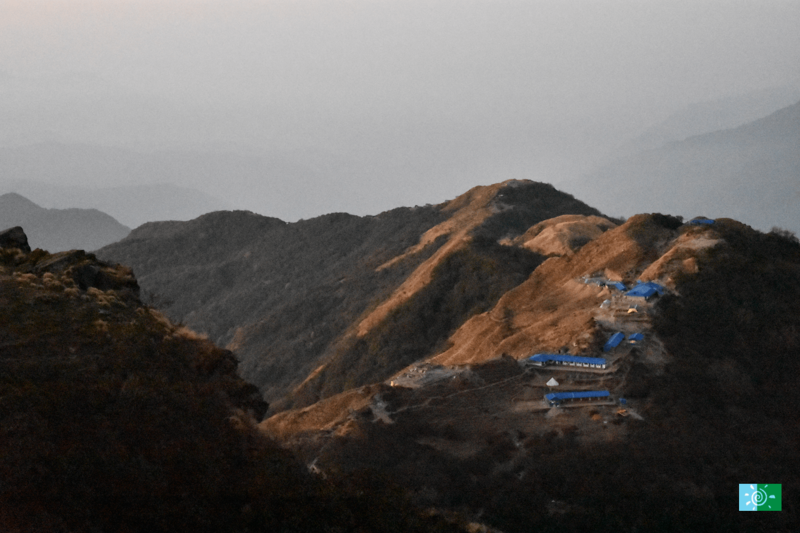 We are staying back at higher camp today so hike will be organized for the day. 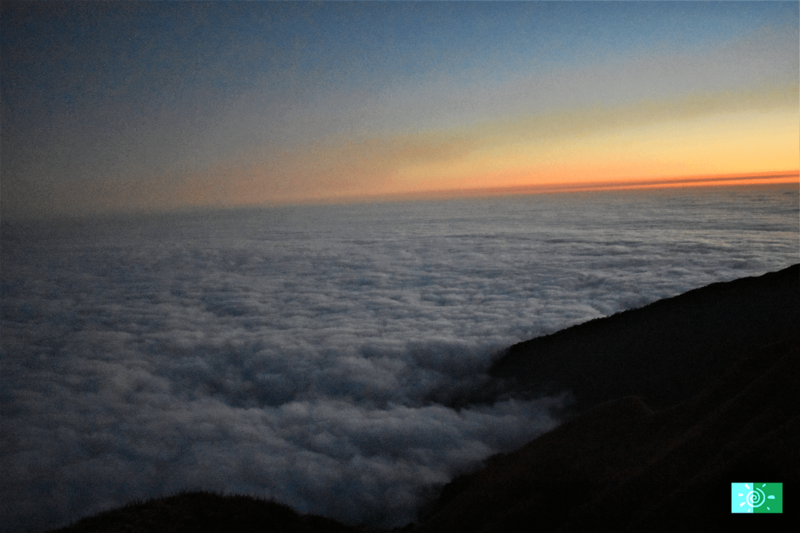 First and foremost we wake up early in the morning for the sunrise views of the mountains. 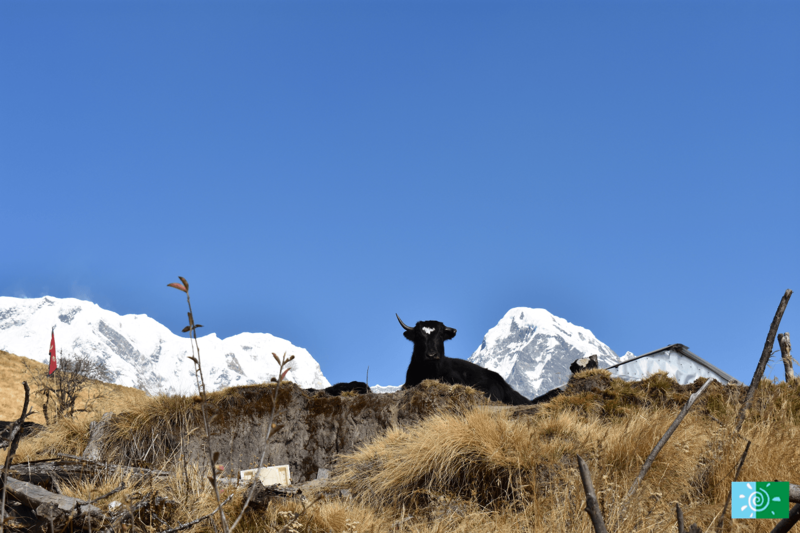 With an early breakfast we start our day hike towards Mardi Himal, today’s trail is well established, and there are grasses around and only couple of steeper sections. However, today’s hike is not a challenging one. During summer villagers from lower villages bring their sheep, goats and dzo up here for grazing and due to this you might witness many herders’ huts through the trail. 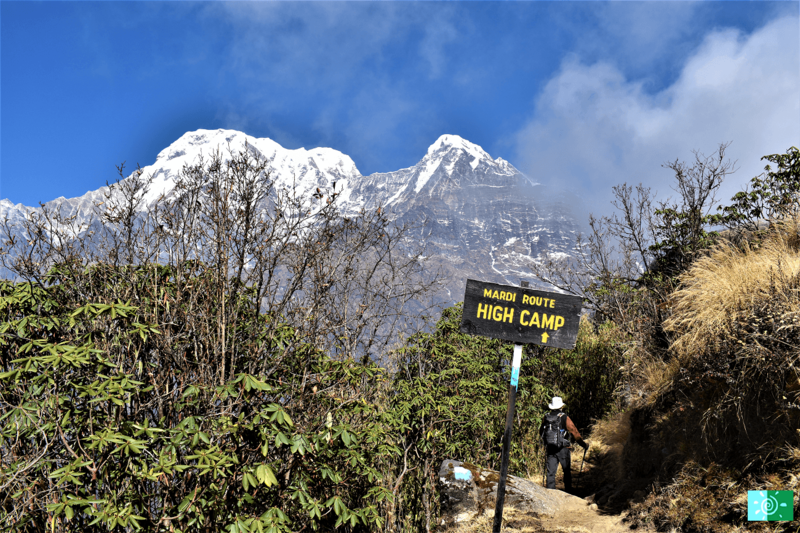 After few hours of walking we will reach Upper view point from where Annapurna sanctuary can be witnessed and the panorama view is beyond imaginations, witnessing south of Annapurna and all of the peaks in the sanctuary including Hiunchuli and Machapuchare. After our hike we return to High Camp for accommodation. From today, we start our returning trek. However, we will take a different route as we don’t want to retrace the same route we came from and at the same time taking different route will complete a circuit. 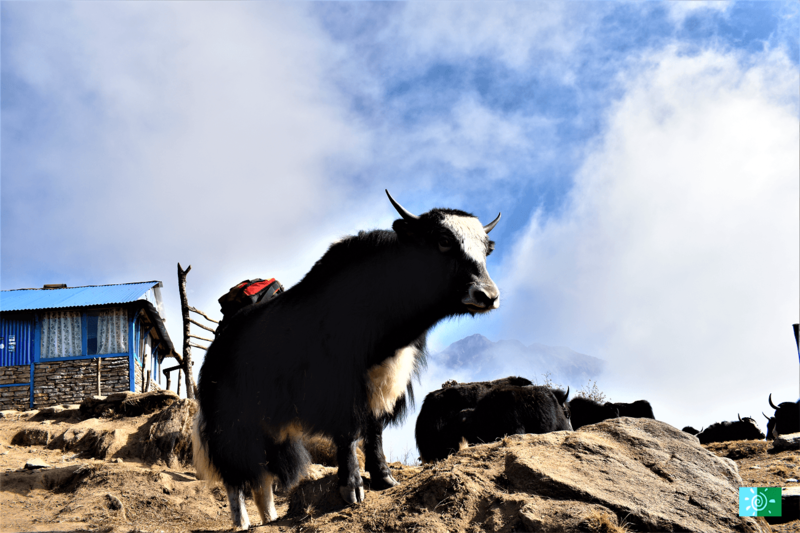 From Low Camp we will trek toward Siding village, the village is a traditional Nepalese village and still isolated from other trekking destinations and it is likely to home stay in siding run by the locals. 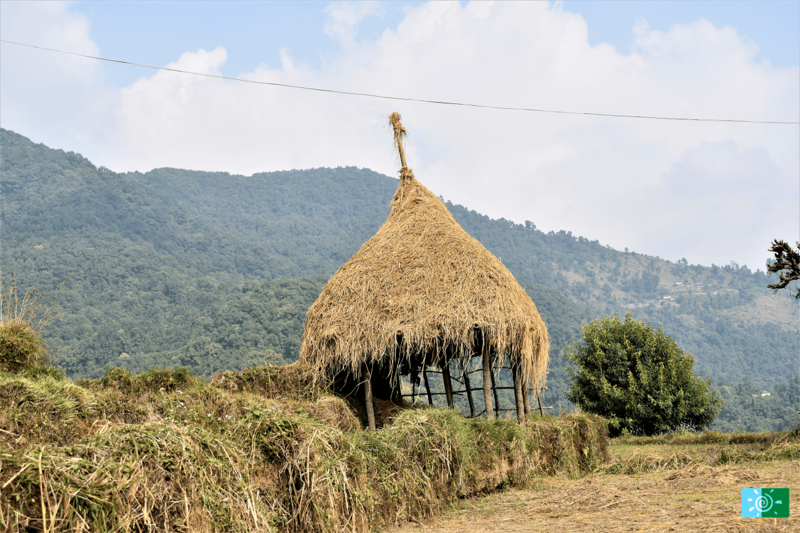 It is a cultural experience staying home stay in this village and having traditional food for supper with the families in their kitchen. Stay overnight in Siding village. From Siding village after a good breakfast we join the trail that descends slowly downhill and cross the suspension bridge and walk through levelled path passing local villages all the way to Lumre. 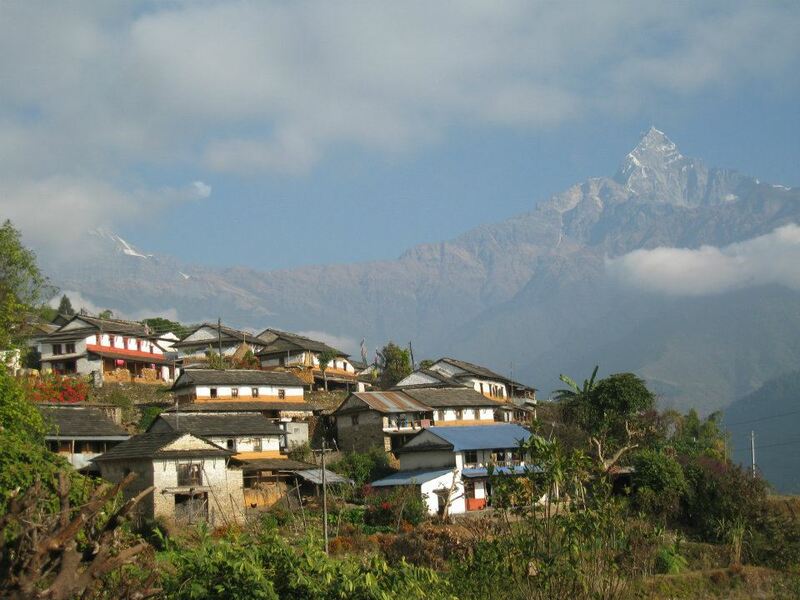 As a vehicle will be waiting for us, we will return to Pokhara and stay overnight at hotel in Pokhara. 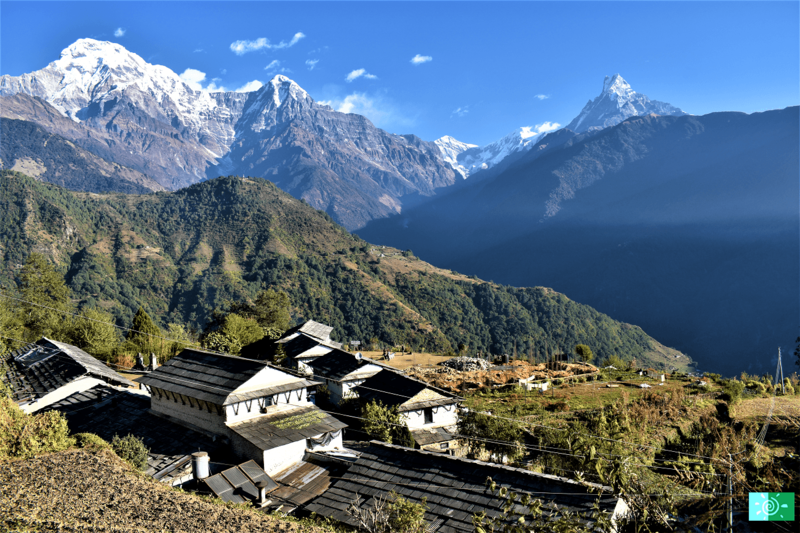 Today we stay back in Pokhara and explore the city as it is one of the famous tourism sites of Nepal, you can either rest in hotel or explore the city. Stay overnight in hotel of Pokhara. 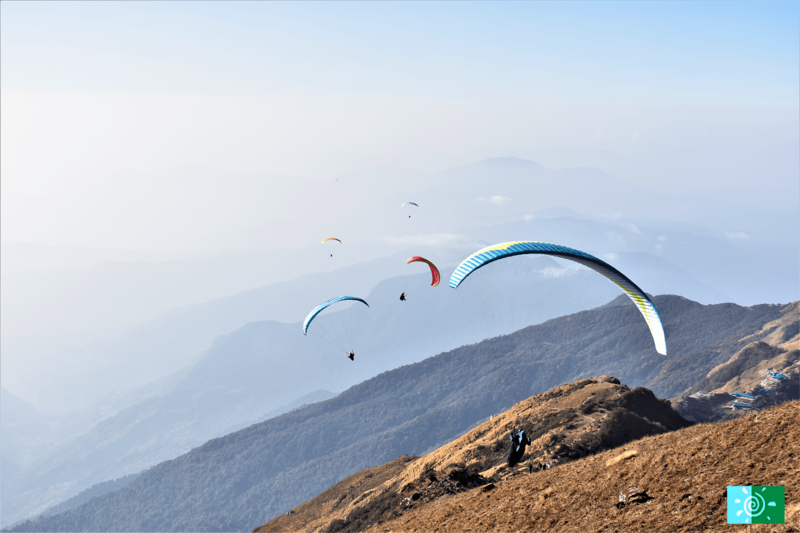 Enjoy the magnificent views of Himalayas and beautiful lakes. 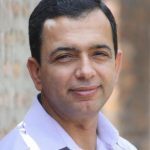 Today we will take a flight back or drive back to Kathmandu. Our representative will transfer back to the hotel of Kathmandu. You have leisure time to take rest, explore around and shopping souvenir to your beloved ones. 1 . 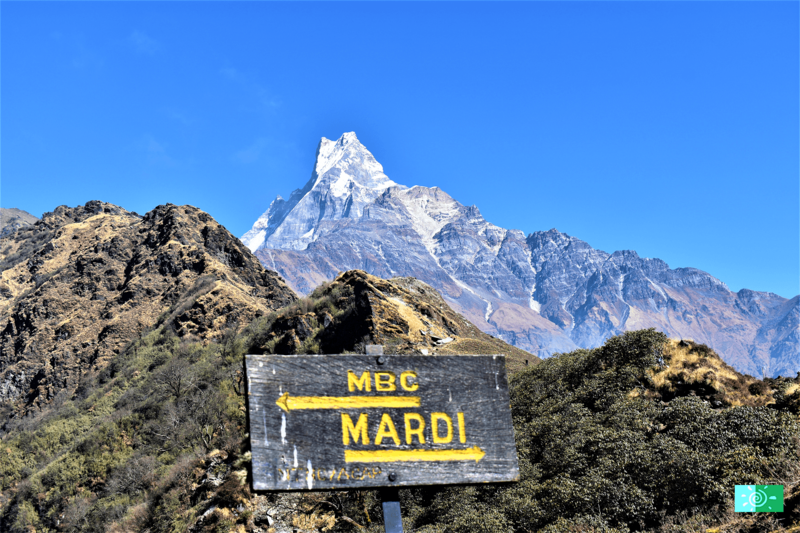 Why choose Mardi Himal trek? 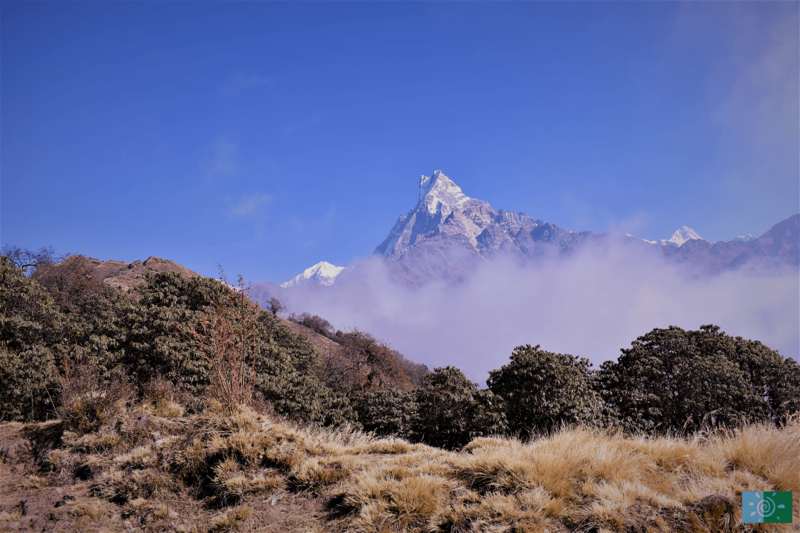 Mardi Himal Trekking is a newly started trekking route; the trail makes a small circuit up to the base camp of Mardi Himal. 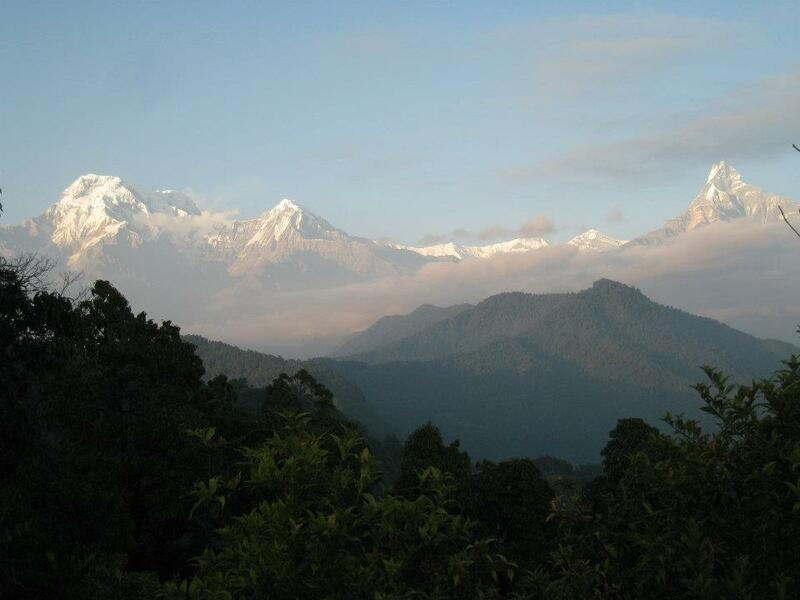 This trek is an ideal choice for you if you are looking for isolated trekking routes in Annapurna region. 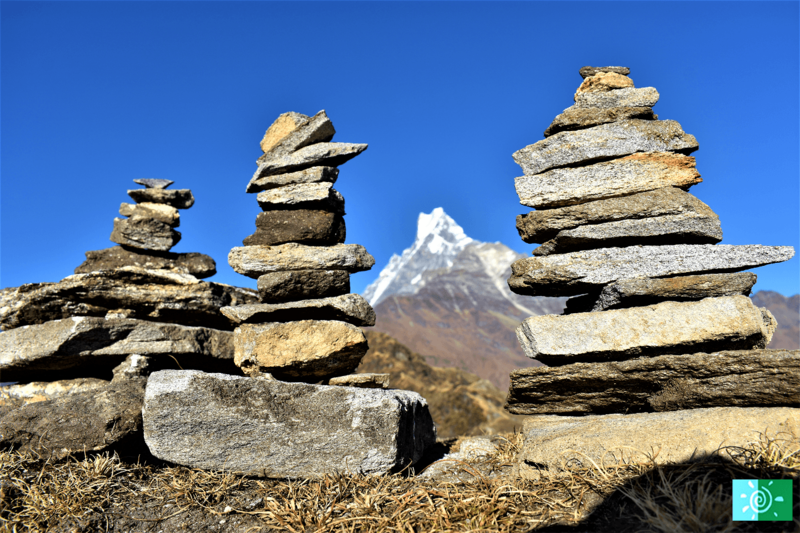 You can bring as much as clothes you want but extra luggage is not required for the trek, you can leave your extra luggage in Kathmandu or Pokhara’s hotel. 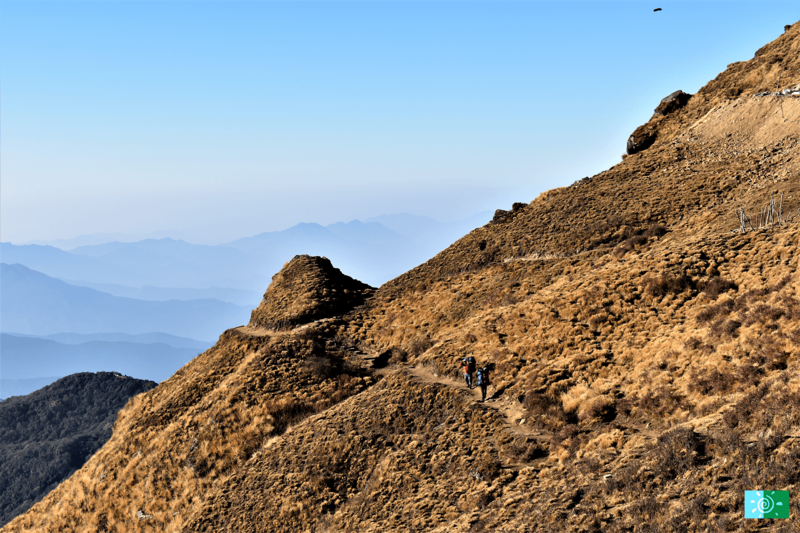 For the trek you can carry enough clothes you require in your backpack or carry only the camera, water bottle few clothes etc in your backpack. The potter can carry your extra duffle bag clothes which can weigh up to 15 to 30kgs and a camping porter carries up to 30kgs. However the local domestic flights allows maximum of 18kg per person. 9 . 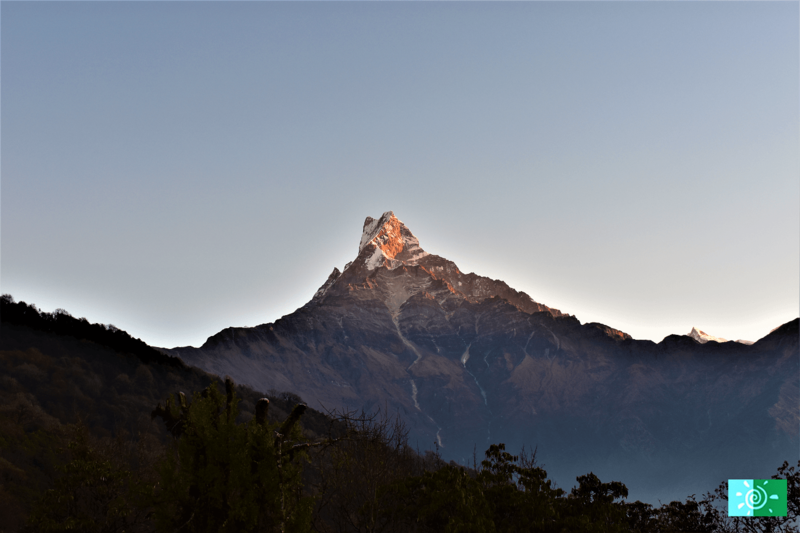 What medical facilities are there on Mardi Himal trek?